To coincide with National Freelancer Day on the 12th November, Freelancers on Demand launches today. Freelancers are the backbone of British business – small independent businesses and limited companies provide the skills to keep British business moving with lots of cost and skill benefits. Working remotely, with low overheads, they provide specialist knowledge and skills at competitive rates. Scott Owens is launching Freelancers On Demand at www.freelancersondemand.co.uk as the ultimate venue for freelancers and those who need ad hoc specialists, bridging the gap between traditional recruitment agencies and online freelancing websites. Freelancing is a relatively new concept in the UK, but one which is growing rapidly. Many highly experienced experts have realised that this is a viable way for them to provide their skills without being drawn in to interminable meetings, office politics and the other distractions of working inside a business. This team of experts focus on serving the needs of businesses; some that might otherwise buckle under the burdens of traditional recruitment and employment; others with short term staff needs and those with fluctuating workloads. Britain now has an ever-increasing pool of highly skilled freelance talent prepared and equipped to work remotely to help overcome the local skills gaps which many organisations face, particularly those trying to hire for specialist roles. These peripheral but essential services will now be available at www.freelancersondemand.co.uk, which provides structure, support and expertise to both freelancers and the businesses which use them, making this a hassle-free process. 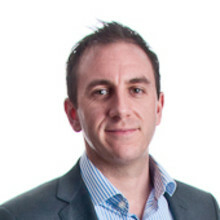 Scott Owens, whose background is in market research, has successfully spent time as a freelancer whilst pursuing his other business interests and has always made other freelancers his first choice when needing business help. This has provided him with a unique understanding of the market from both a client and supplier perspective.